Something looks familiar. The new season three intro for Disney Channel’s Girl Meets World pays homage to the classic Boy Meets World title sequence. 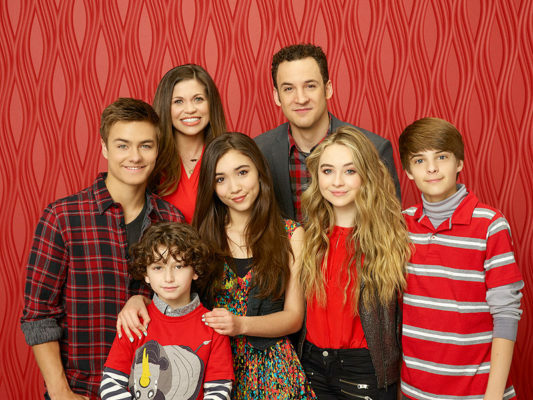 A spin-off of the latter, Girl Meets World follows Riley (Rowan Blanchard), the daughter of Cory (Ben Savage) and Topanga (Danielle Fishel) from the ’90s ABC sitcom. In a nice nod to fans, Girl Meets World has adopted the long-running title sequence of its parent show. Like the original, the sequence sees the cast goofing around on the street, dancing, and playing pranks on each other. Season three of Girl Meets World kicks off with a two-part premiere on June 3rd. What do you think? Are you a fan of Boy Meets World? Do you watch Girl Meets World? How do they compare? Nothing like Boy Meets World Disney mid 1990’a one of the greatest shows now new show terrible I love Cory and wife but I know end the series should done that other of course but it just first disney channel classics so good but last as long as original.